This post was originally written by Arps, aka @Paediatrix on her excellent, but severely malnutritioned blog A(n)nals of an Idle Mind. She wrote these points several months ago, so it is quite likely that the costs have risen further, but this gives an excellent over view of the depths one’s pockets should have if one is considering the USMLE. Arps is on the brink of starting her Pediatric Neurology residency in bigfancy hospital and I wish her all the luck. And of course, I hope she tweets a little less and blogs a little more. And now, I will get out of the way so that you can take in the content of this post. Once again, thanks for letting me repost this on my blog. I’m going to make a list of the moolah spent by an IMG (Indian in this case) if they want to do a Residency in the US of A. Having been through almost 3/4th of the process, I’m just listing the basic $s that I have spent on the process till now. By the end of this post you should have a gross idea of how much it’ll cost, and thus you can make a realistic decision of what you want to do next – AIPGEE or USMLE. -A lot of costs vary by individual choices. So I’m going to list what I spent as an example where this difference arises. There are a lot of exams that you need to take to be fully ECFMG certified. TOEFL: An optional exam that is steadily converting into almost a mandatory one if you want to have a competitive CV for electives- Fee$130 Its $165 now. 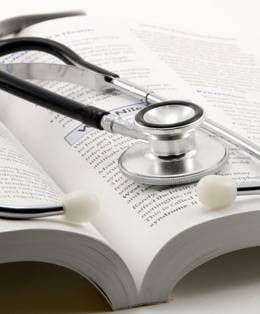 USMLE Step 1, 2 (CK & CS): A little over $1400 ($700*2) for USMLE Step 1 and 2CK, and $1200 for CS. EDIT: Exam now costs much more than that. 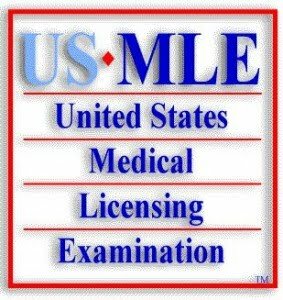 USMLE Step1 $880, Step 2CK $895, CS $1295. Check official website for regular increments! NBME Self Assessment: To assess your prep, you’ll end up taking online NBME practice tests. Since each test costs $45 to take (and $60 for one “special test’ for each exam), the number of tests you take depends on your preparation. There are some who take none while others end up taking all tests. I spent a total of $375 for NBME SAs for both exams. Malpractice Insurance: This is another thing that is new for us and since there seems to be just one company that provides MI to students on a monthly basis, they have been increasing the premium with every passing year! I ended up spending about $600 for MI. Travel and Housing: Of course travel to the US will cost another $1000-1500. Misc: Add to it other costs like travel insurance, visa fees, immunization titers before going to the US. After all this preparation, we come to the main application! It costs a bundle, especially for an IMG! Application: Come September 1, and a major hole in your pocket is just one click away. In ERAS, applying to 30 programs in each specialty adds up to $305, and then for each additional program its $25 per program. So, if you are a regular IMG who needs a visa, and is not a big hot shot already in the medical world, you’ll apply to over a hundred programs. Although till now this is the stage I’ve reached in the process, there’s a lot more to come. Travelling again to the US, expenditure of travel within the US for interviews, USMLE Step 3, living there for about six months… and it goes on. For those who are planning to start on this journey, this was just a preview for you to have an idea of what the costs are going to be like. Just a thought to keep it realistic. Note: I’ve tried to keep all figures correct and comprehensive according to my memory. If there is something that you’d like to add or remove, let me know. Hope this post was useful! Tags: IMG, Medical Education, Medical School, PostADay2011, USMLE. Bookmark the permalink. I’m just curious as a base of comparison and relativity, how much did your medical education cost in India? $11,500 sounds like a lot (and it is), but when I look at it in terms of big picture its not so much at all. My 4 years of tuition alone, never mind housing and books etc etc was over $175,000. Mine used to cost 9,000 INR/2 semesters+ books. But I got scholarships for 4 of the 9 semesters, so the 9 semesters cost me 22.5K + say another 22K for books. Thats all. A total of about 50K, tops, with the exam fees put in. Hey, not fair! Its not like I will get paid a tenth of that 200 grands that you’ll be pulling in! At an entry level, I’d get 300K INR per year in the best of conditions, that would mean something to the tune of $ 6,000 ONLY! omg! just the process is like (in terms of finances) doing the entire MBBS in india from private college! woah. Just curious, why would someone from India wish to practice in the US? I don’t know the going rate in India, but the average salary for a doctor in the United States is around $200,000+. Which is a pretty sweet reason. Plus, unlike in some countries, a doctor is essentially the most respected profession in this country. Little girls still make their daddies proud when they grow up and marry a doctor. My wife is far more intelligent than I am, she’s a brilliant nueroscientist, soon to be a PhD. But it’s hilarious (and totally unfair) how her family and friends swoon over me since I’ve been in medical school. I’m not exaggerating and it actually drives my wife nuts! Now that I am just a few short weeks away, its like I can do no wrong, a ticker tape parade every time I come into town. Yes, I am exaggerating a bit, but not by much. Yes, if you stay in India, you will have all my respect back, lol. But if you come here to practice, drinks are on you my friend. Seriously, start writing man! The blog’ll die of malnourishment now! Im in my final year MBBS in a private college in India and i pay $16,0000 p.a. for tuitions alone. for 4 1/2years. And doing residency in India through private is another 180+ grand. This is the average cost since most students study in private.